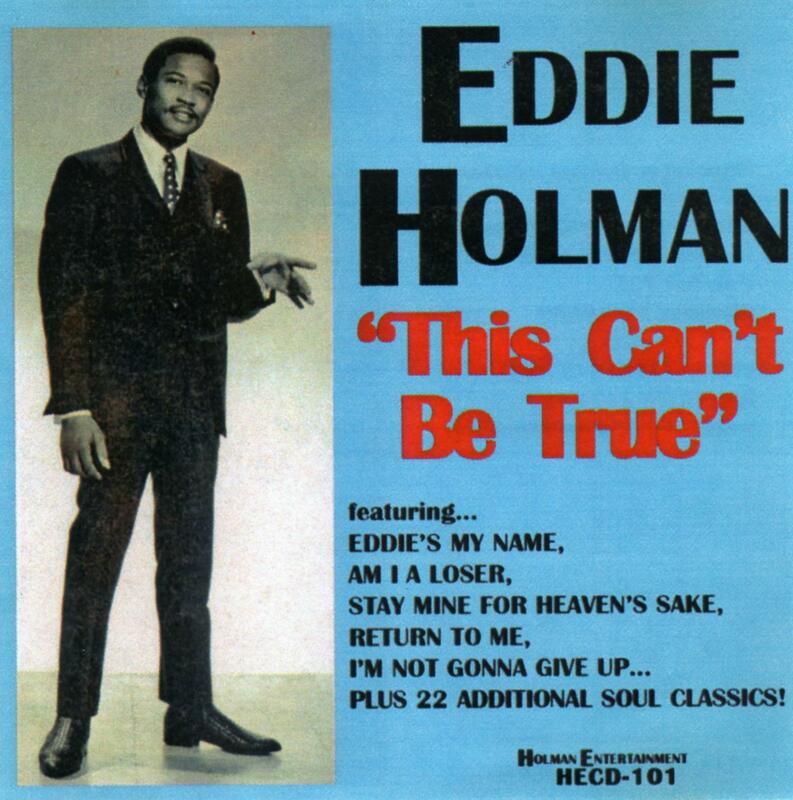 Eddie Holman was up at 5am the day I called him, and two hours later the 68-year-old Baptist minister and soul legend was definitely on a roll. That was Philadelphia time, five hours behind the UK, the man credited with the world’s greatest falsetto bounding down the stairs then stepping carefully over his sleeping cat while readying himself for my questions. 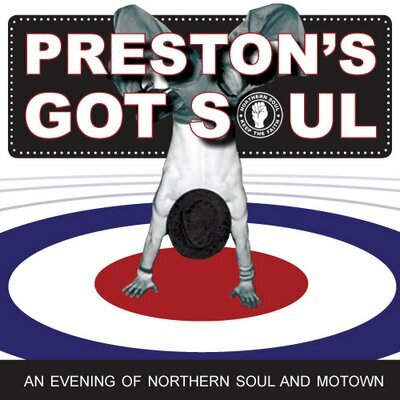 The following day he was bound for the UK, with four dates lined up, the first for Preston’s Got Soul at 53 Degrees tomorrow (December 5). 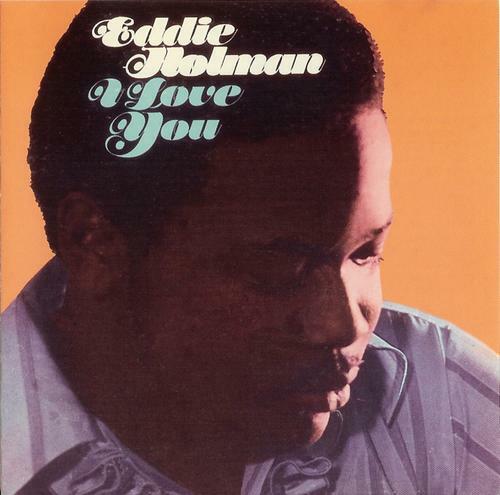 By the time we were done, half an hour later, he’d set the record straight on several tales that left me in no doubt that Eddie is no one-hit wonder, as anyone who loves ‘60s and ‘70s soul should already know. My Guinness British Hit Singles suggests otherwise, this US vocalist spending 13 weeks in the charts with 1974 top-five hit Hey There Lonely Girl. But there’s a lot more to his story than that defining disc. It’s 45 years since Eddie released that single, but it’s had a life of its own since, as this genial grandfather of nine concurs. Oddly enough, the UK release followed on their eighth anniversary, by which time Eddie was already a name on our homegrown soul scene. Eddie laughs, but is genuinely appreciative of his support this side of the Atlantic, not least the love of Northern Soul’s in-crowd. So has that distinctive high voice of his taken some looking after over the years? And more to the point, what’s his secret? It can’t just be tight undies, can it? That infectious Holman laugh follows again. “Not just tight undies – although that helps! You really have to take good care of yourself, and this is my 56th year in show-business as a professional performer. “You can’t be around this long and be the best at what you do if you’re not taking care of yourself. You can’t abuse yourself. “You have to take pride in what you do and always remember that an audience deserves your best. “People come to pay money to see you perform, so you have to give them your very, very best. “I’m still thankful, take good care of myself, and don’t even have a wrinkle. I don’t even look 45 – even if Hey There Lonely Girl has been around for 45 years! Eddie was singing by the time he was two, his mum introducing him not only to public performance, but also to guitar and piano at a very early age. “I had a wonderful mother. She was a beautician and a beautiful woman. I’m a handsome man, and a handsome man has a beautiful mother! “People say, ‘Can I have your autograph … ooh, you’re a handsome man!’ I’ve had that all my life, but that’s because my mother took good care of me. That’s the Apollo Theater, in the Harlem neighbourhood of Manhattan, New York City, perhaps best known for James Brown’s seminal recordings there in 1962, and revered in classic ‘60s soul circles as well as the world of swing and gospel. From the 1930s onwards, the venue’s amateur night led to breakthroughs for the likes of Ella Fitzgerald, Billie Holliday, Sammy Davis Jr., The Supremes, Wilson Pickett, Jimi Hendrix, Gladys Knight and The Pips, Dionne Warwick, The Jackson 5, Marvin Gaye, Stevie Wonder, Aretha Franklin, The Isley Brothers, and many more. So were there others before in Eddie’s family who could sing like him? “No, but my Aunt Jessie sang back in Norfolk, Virginia, in the church I grew up with – the African Methodist Episcopal Church. “She was a wonderful piano player and choir director, and very inspirational in helping me. And who first inspired Eddie to get out there and perform outside of church circles? 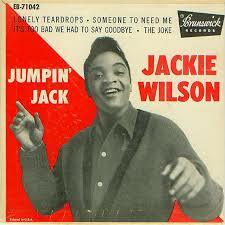 I believe esteemed soul star Jackie Wilson was a huge influence. “Well, it was really my mother, who had a great ear for music and a beautiful voice. She had a wonderful career herself, but was the one who took me to see all these people. “The first time she took me to the Apollo, I was eight and Little Richard was headlining, with The Flamingos also on the bill. “I knew right then and there I had to have that, and that was for me. “My mother went to town and got me all these bright colours – aqua blues, yellows and reds. And for my 10th birthday she got me on Jocko Henderson’s radio show. “She introduced me to Jackie Wilson, Nat King Cole, all these wonderful artists. I was just saying to my wife yesterday, ‘I’ve seen everybody!’ And let me tell you something, the greatest artist and entertainer that influenced me was Jackie Wilson. “This man loved me. We toured from New Haven, Connecticut, down to Tampa, Florida, and he told the promoter, ‘I want Eddie Holman to share my dressing room’. “He took me under his wing and told me a lot of wonderful things that only someone with the talent and experience he had could share. “Not to mould myself into a Jackie Wilson clone but develop what I had and what God gave to me. “Jackie said, ‘You ain’t gotta dance, Eddie, and don’t have to be running around the stage. All you have to do is stand in front of the microphone and sing. Eddie met Jackie Wilson at the Apollo when he first became a solo artist, having left Billy Ward and his Dominoes, Berry Gordy having written his first hit, Lonely Teardrops. “When I was old enough, I was opening for LaVern Baker and Dinah Washington, Frankie Lymon and the Teenagers, The Cleftones, The Cadillacs and Ruth Brown. 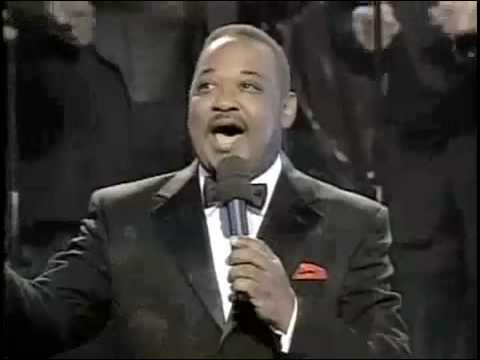 Eddie’s talents blossomed and appearances followed on NBC’s The Children’s Hour and at venues like Carnegie Hall while studying at Harlem’s Victoria School of Music. 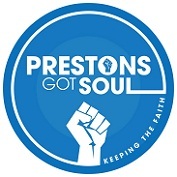 Today, despite his advancing years and his ministry back home, he remains a regular on the road on both sides of the Atlantic, and Friday’s Preston’s Got Soul visit is followed by a night in County Durham, a show at Wigan The Cube, and a private gig. So how long has he been aware of a love of his songs on the Northern Soul scene? “Many years! Going back to the ‘80s, I’ve always been fortunate to have done a combination of work in the UK. “As well as my rock’n’roll and pop engagements I’ve been fortunate enough to have some wonderful followers on that Northern Soul scene. 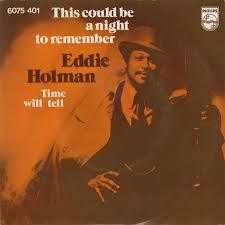 And songs like I Surrender and Eddie’s My Name never seem to be out of fashion with 60s soul lovers. “Well, I Surrender is the theme song for a new movie filmed in England, coming out in the very new future, called The Brother. There’s also a documentary including that song. At that point, Eddie’s laughing so hard that we lose our connection and I end up phoning him back for the rest of the story. I start by mentioning his Preston’s Got Soul show, asking if we can expect – like his late ‘70s hit – This Will Be A Night To Remember. At first, he wonders if I’m talking about that old hit or his show itself, and I explain that I mean both. He’s soon off again. “Oh – you got me on that! That’s a wonderful song and “I tell the Northern Soulers that song helped send my oldest son to his music college. “I wasn’t eligible for grants and so on because of my income, so had to work to pay for his tuition and put money in his bank account. “It was similar with my other kids. The record company took wonderful care of me and I was in demand here too, coming over to do concerts and shows up and down the UK, from the Midlands to Scotland, Manchester, all over. Eddie’s already been over in February and September this year, and must be stacking up the air miles. With some artists, the voice maybe tails off a little with advancing years, but that’s not been the case with Eddie, despite all his years in the business. “My voice is more powerful now than when I was a teenager. The reason I’m the King of Falsetto is that can’t nobody sing falsetto the way I sing it. “It’s not boasting. The BBC said it too. They recognised me as the greatest falsetto of all time. I’ve always taken pride in being the best at what I can do. That reference to the BBC concerned his part in an Alan Yentob documentary back in the summer of 2012, for the Imagine arts series, titled Just One Falsetto. Come to think of it, I can’t see Eddie going through the motions on an off-night. Is it all or nothing with him? “Yeah – well you just hit it there! That’s one of my favourite Frank Sinatra songs. I’m that kind of guy – it’s all or nothing at all! “I give my very best every time, and I’m consistent. If you come to see me, you’re going to see a great performance! Eddie was in full flow now, and it was fighting talk by the time I asked how important he was in creating what we now see as that 1970s’ Philly sound? “No ifs and buts about it. I put the sweet soul sounds of Philadelphia on the map. There’s never been a singer greater than me! When I think of Philly, I think of The O’Jays, Harold Melvin, Billy Paul, McFadden & Whitehead, Teddy Prendergrass, the MFSB band, even the Three Degrees. 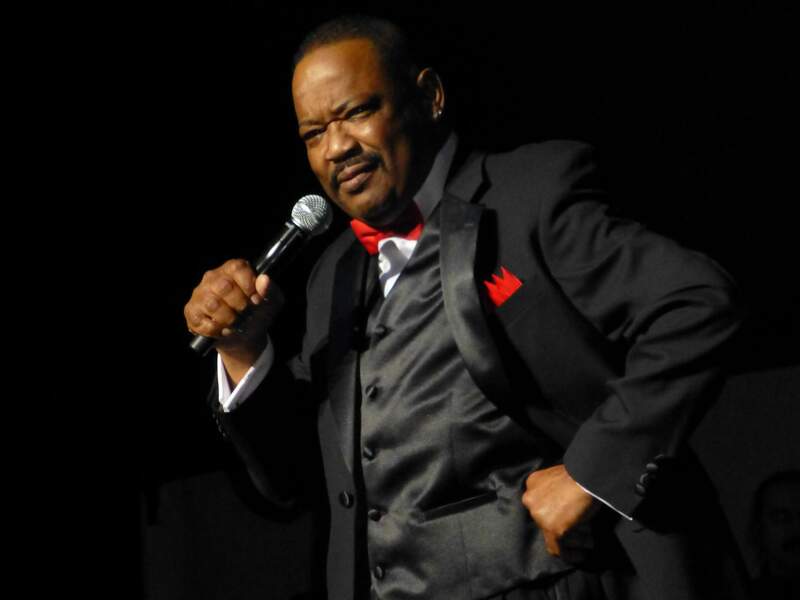 I asked Eddie if he worked alongside any of those acts, and he was soon telling stories about old pals like McFadden and Whitehead and The O’Jays lead singer Eddie LeVert. “Let me tell you this, Gene McFadden and John Whitehead loved me, and we’ve toured together over the years. “We did a concert at the Beacon Theater in New York, and I was on my way to the promoter’s office to get the balance of my fee and they were coming towards me. “They gave me big bear hugs. They were just crazy about Sheila too. But sadly that was the last show John did. In a couple of weeks he was murdered. “The same promoter later put me on at Constitution Hall in Washington DC for Gene’s first performance by himself, and I was asked along with my wife to share a dressing room with him and his wife, to say a prayer beforehand. “That was his last show. He passed away not too much longer after that. 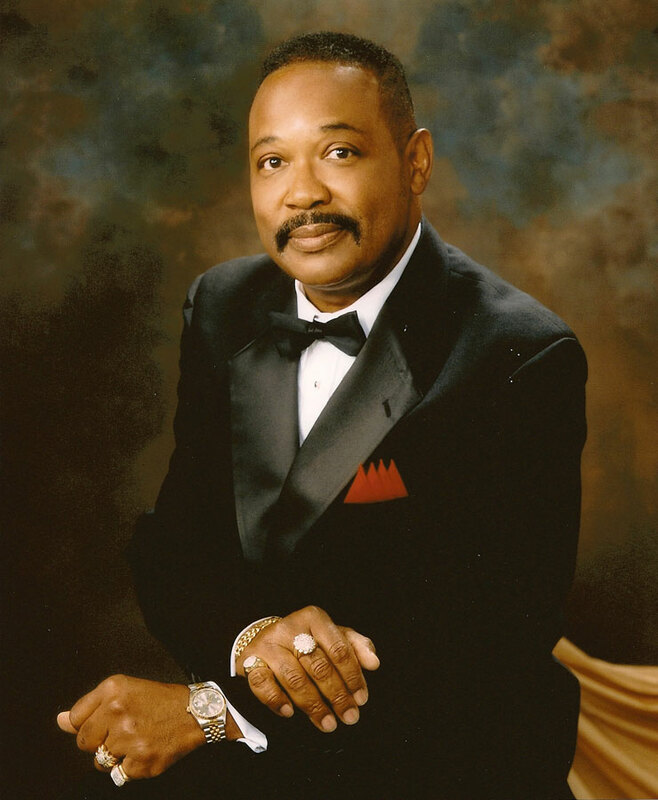 “I also remember coming back from Constitution Hall on the train with Eddie Levert, a living legend, after a night playing Temple University. “He showed such concern as Sheila was at that time on dialysis. She was supposed to come that night but had to be hospitalised. “When the train got to Philadelphia, I had to drive straight to the hospital to be with her. She had an operation the next morning, and I announced it to the audience. Eddie’s family mean a lot to him, and I asked how he ended up relocating from New York City to Philadelphia as a teenager, and why the initial move from Norfolk, Virginia. “My father passed away when I was three, and my older sister, Margaret, moved to Brooklyn when she was 21, so my mother decided to move to New York too. “And you never know how God has a plan for you! That opened up a career and all those doors for me, and I’ve been blessed all my life. “I also had a wonderful step-father, and I’ll be visiting his grave and mother’s grave before I leave for England. That’s my Thanksgiving visit. Sheila co-wrote several of his songs too, but before all that Eddie was at teacher-training college when he recorded This Can’t Be True, the first of his stateside hits. “I was prepared to teach school, but didn’t have the patience to teach kids. I was a kid myself! I knew it was pivotal moment when I wrote that song though. “I knew it was going to be a hit record. I started making records when I was 16. My mother got me that first deal, and I got a couple beyond that. “Even back then I was taking my career in my own hands. I’ve never really had to depend on someone else for something I can do for myself. “I’ve been writing songs since I was 10, and had a songwriting partner back then from the same high school, James Solomon, who also matriculated at Cheyney. As it was, it was someone else’s song that made his name, Eddie re-inventing Ruby and the Romantics’ 1963 hit Hey There Lonely Boy. “I was in high school when that was a hit, a follow-up to their big hit, Our Day Will Come. and remember dancing to it. “When it was recommended to me by Peter de Angelis, I said, ‘I don’t wanna do this!’ What the heck could I do with that? Plus I didn’t have any publishing on it. “But Pete said, ‘Don’t take the final decision, take it home to Sheila, talk it over and see what she thinks’. On that recent Just One Falsetto documentary, Eddie revealed ‘women love a guy with a high voice’. Barry White and Isaac Hayes may have taken issue with that, but it’s fair to say Eddie’s never seems anything less than confident of his own abilities. Reading up on his background, it suggests that Eddie learned a lot along the way from his time with the Delfonics and the Stylistics. I put this to him … and got short shrift. “No! The Delfonics and the Stylistics learned a lot from me! I don’t know how they got this thing mixed up. I’ve always sung on myself. “I’m an army alone! I don’t need anybody on stage with me, but me. “I once had a 23-piece orchestra on stage with me at the Beacon Theater, where half the orchestra started playing one song and the other half another. “I turned around and told the conductor, ‘If you can’t play it right, don’t play at all’. I played my set live, without accompaniment, and got a standing ovation. Between live commitments at home and overseas, Eddie is committed to his Baptist church duties, working closely with community leaders, determined to inspire neighbourhood spirit and family values, and improve social conditions. It’s something he’s been involved with for 30 years now. Does that calling help keep his head out of the clouds? “It keeps you grounded. I’m proud of my accomplishments, of my wife, my sons, my grandchildren, my career. But most of all, I’m proud of my relationship with God. “I thank God for blessing me, favouring me, having mercy on me and taking care of my wife, my family and friends. “Of all the things I’ve ever accomplished I have to give all the honour and glory to God, for allowing me to do all the things I do. Is there a time down the road when Eddie might put down the mic? “As long as I can sing, I don’t ever foresee not singing. I don’t look 68, and the older I get the more jobs I get, the bigger my career gets. “Eubie Blake, one of the greatest entertainment legends of all time, was rediscovered aged 90, and couldn’t be touched. “I don’t even have to be rediscovered – I ain’t gone no place! I see myself performing on a grand scale at 95 years old. 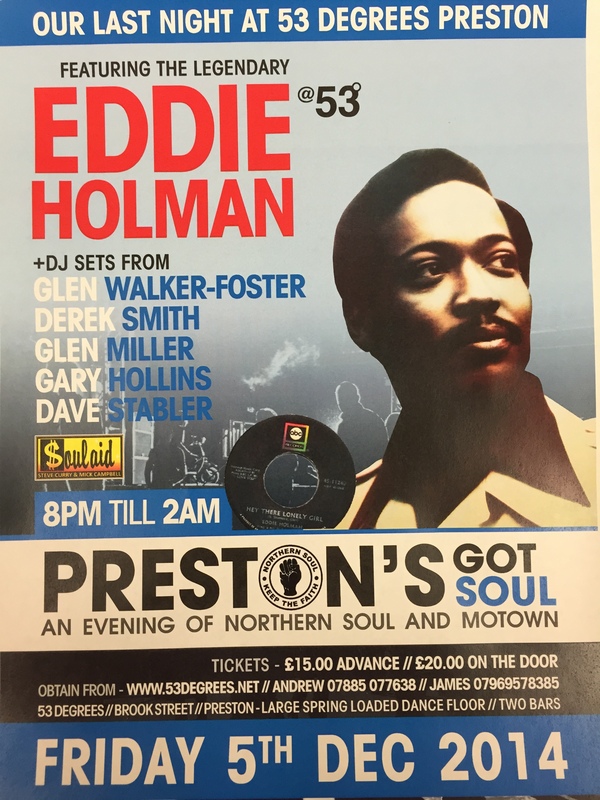 Eddie Holman’s Preston’s Got Soul show includes DJ sets from Glenn Walker-Foster, Derek Smith, Glen Miller, Gary Hollins and Dave Stabler, and is at 53 Degrees this Friday, December 5 (8pm – 2am), with tickets £15 in advance (£20 on the door) or via www.53degrees.net. And for Eddie’s own official website, head here. This is a revised and enlarged version of a Malcolm Wyatt feature for the Lancashire Evening Post. 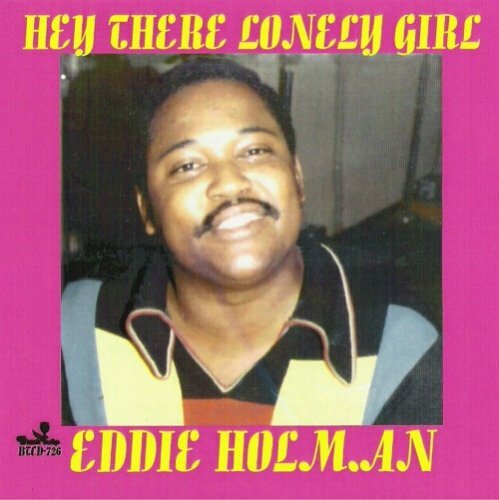 This entry was posted in Music and tagged 53 Degrees, Eddie Holman, Falsetto, Harlem, Hey There Lonely Girl, Jackie Wilson, New York City, Northern Soul, Philadelphia, Preston's Got Soul. Bookmark the permalink.